Growth hacking is a combination of marketing experiments to grow a start-up or a business, to stay connected, and to cut on the daily time-consuming routine. Why do I want to talk about it? Recently I and my marketing colleagues have been approached with a question on what tools we use for growth hacking. Each one of us shared a few favorites. I looked through the list of all the recommendations and got so interested that decided to explore and test some of them. I compiled A to Z list of the tools with the gist of their features and possibilities of free use. Check for yourself. 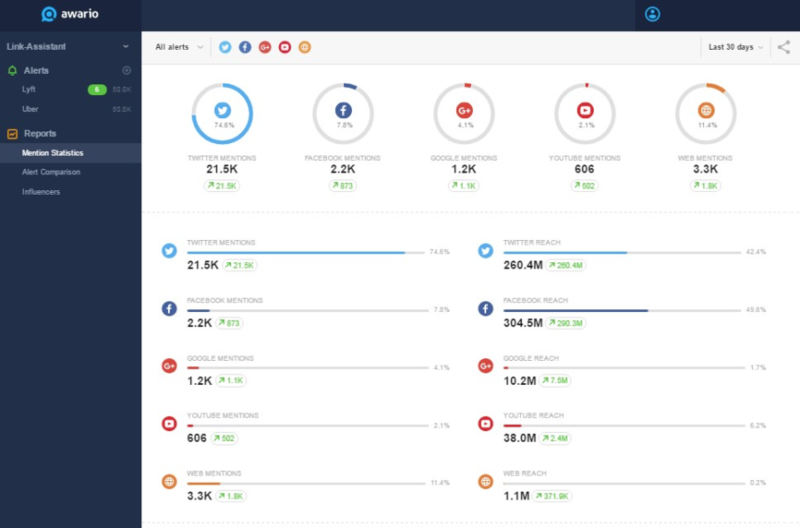 What it does: Awario is a social media monitoring tool that helps you to feel the pulse of what is going on around the Web in terms of your competitors’ strategies and audience’s interests. You can investigate social media platforms most popular with your competitors as well as media campaigns resonating best with their audience. It is possible to set up an alert for any competitor, campaign, or hashtag to gather data on all the insights: best-suited content + mentions, shares, and discussions from the major social platforms and the Web. This way you can see what efforts of your competitors were truly successful and what were in total vain. Free version: 14-day free trial of the Starter plan, no credit card details required. 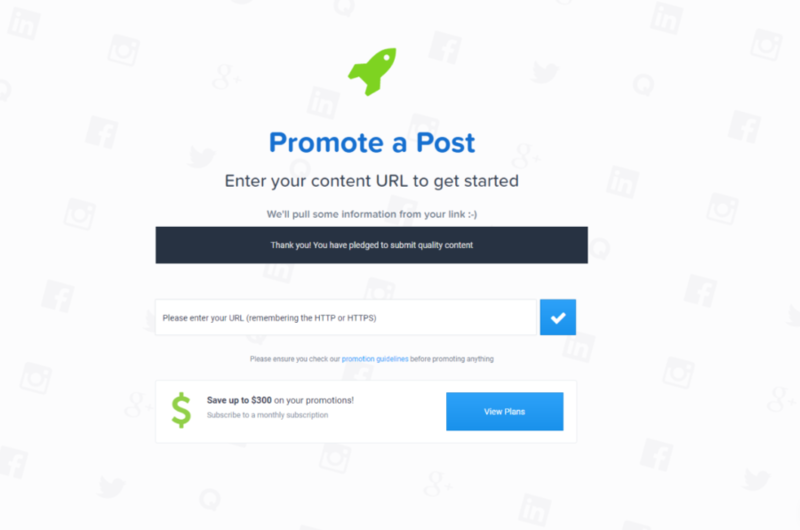 What it does: Backly is a tool that helps to drive traffic to your website by applying a message badge with a link to your site on any content you share somewhere else. When you publish something across the Web, the badge with your face or brand will pop-up on your article. It will help interested users to find your best content and convert visitors into profit. 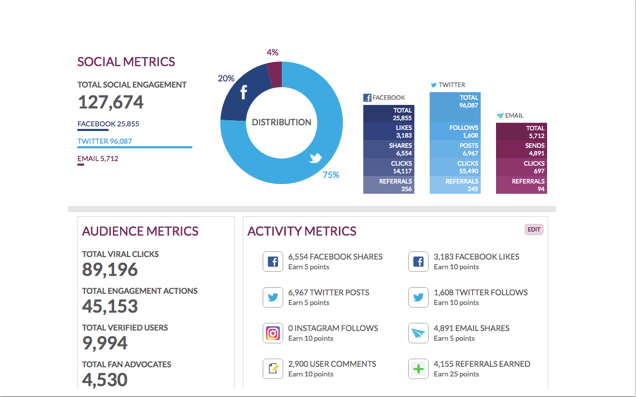 You may follow the conversion and engagement stats in your account. Free version: Free-forever account, no credit card details required. What it does: BeBee is a social networking platform that allows you to create, showcase, and promote your personal brand to employers, customers, sales people, and media (dubbed Bees) in the related industries (dubbed Hives). Free version: Just sign up for free and post. 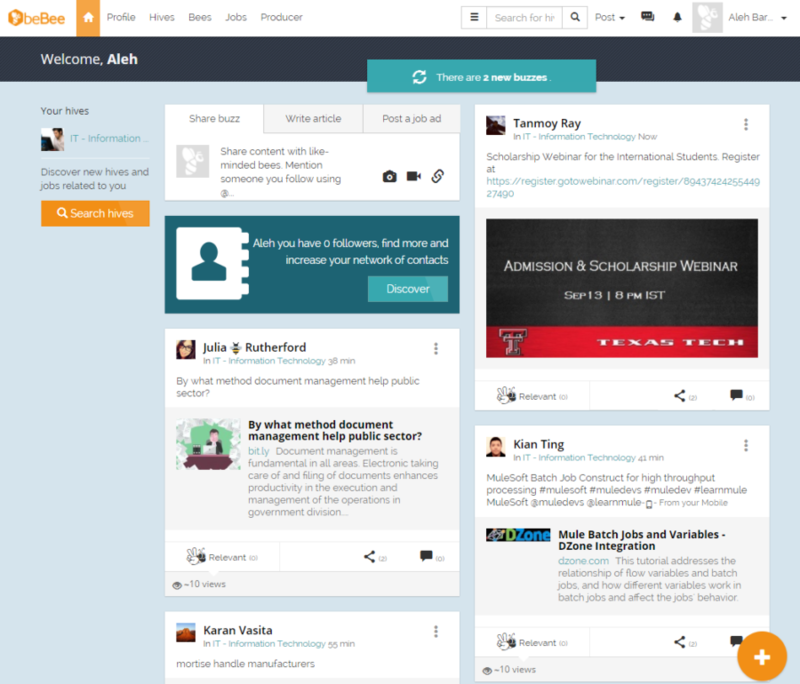 What is does: BuzzStream is a tool that gathers contact info, social profiles, and website metrics. You can flip through search results or prospect lists to find the best contacts, and then sort and filter your lists by authority, influence, and history. It basically saves you from multi-storey speadsheets and disorganization. As I’ve mentioned here, my team uses BuzzStream for CRM, as it simplifies and organizes engagement for PR and marketing tasks. Plus, one of the most important things in growth hacking is build relationships and stay connected. With this tool you will never lose track of a conversation or a project. You will have one database for the whole team to work from. Free version: 14-day free trial available, credit card details required. 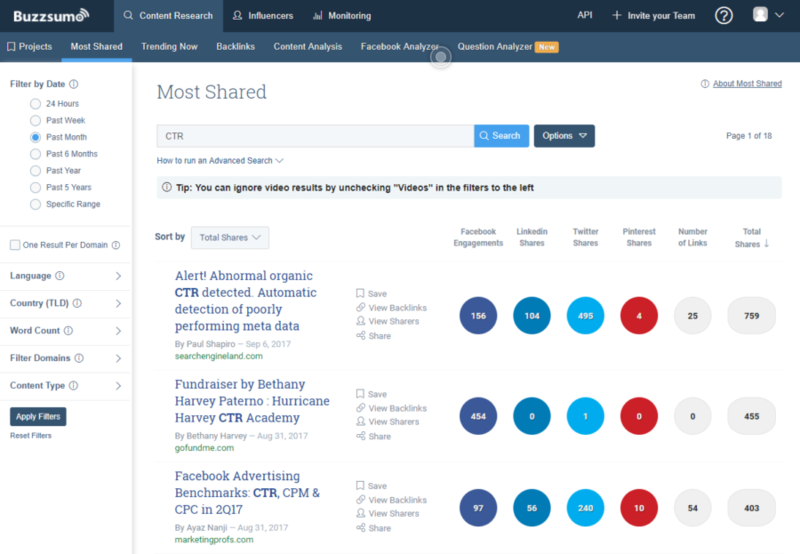 What it does: BuzzSumo is a tool that helps to find the most engaging content and the most important influencers. The tool is really convenient to research and analyze actively shared content on a particular topic and see engagement values across the major social networks. Plus, you can explore not only the most shared and trending content but also backlinks. This will allow you to understand what types of your content people care about to link to in their posts. 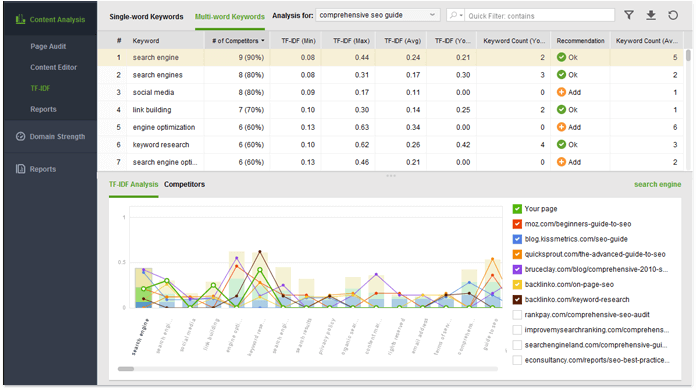 For greater efficiency, you can set up the alerts for keywords, brand names, links, author names, or domains and do the analysis on the basis of the competitors’ content. Free version: 14-day free trial available, no credit card details required. What it does: Google Analytics is one of the best tools to track performance results of your website. In spite of the fact that it is free, it offers a splendid array of features that can come in really handy. The tool provides the same reports you can find in pricy solutions. Plus, it is integrated with other Google products, like AdWords, for example. 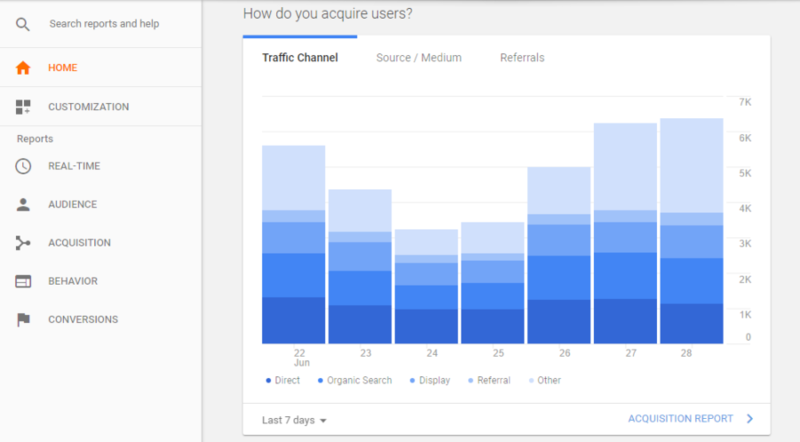 Google Analytics reports will show you your website traffic and most visited pages, will tell you who your audience is, how they get to your site, how much time they spend there, who drops off, and what is more important – whether they converted or not. Free version: Free and available if you have a Google account. What it does: Google Analytics gives you half of the picture, when it comes to your data. The other half is provided by Hotjar – qualitative analytics and feedback platform. You can do fascinating things with this tool. 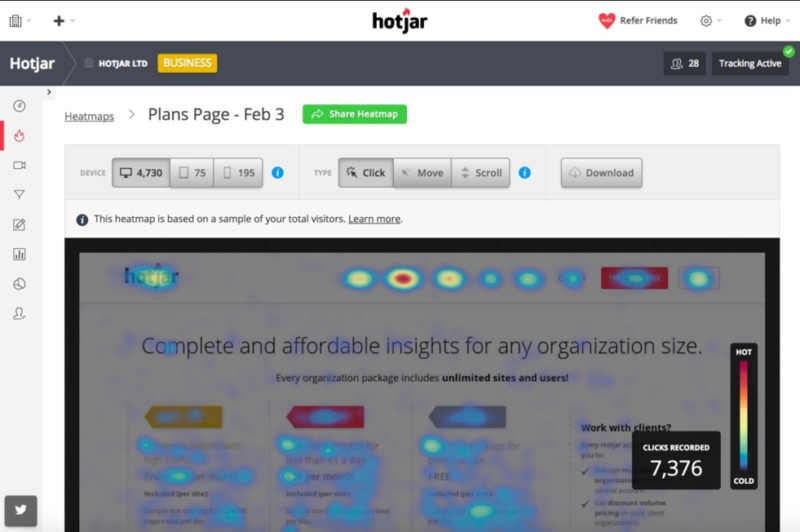 For example, you can visualize user behavior by creating heatmaps that represent users’ clicks, taps, and scrolling behavior – the indicators of motivation and desire. You can also record visitors’ behavior while on your website – and you will see what your users see. Such visualization will give you the idea of possible usability problems. Plus, this tool allows you to create conversion funnels, feedback polls, online forms, and surveys. Free version: Basic plan is free forever, 15-day free trial for Plus plan, no credit card details required. What it does: HubSpot helps to integrate, organize, and track your customers and leads. This tool speeds up your team, as there is no need in messy speadsheets – the CRM process is automated. Plus, it provides great visualization of your up-to-date sales progress. After the installation the tool will run in the background. It is possible to trigger it, whenever you need it. The list of the software that can be integrated with HubSpot is rather long. It includes such products as Pipedrive CRM, SugarCRM, Bigcommerce, Gravity Forms, Base CRM, Google Chrome, Google Dynamics, Snapengage, Dropbox, and many more. So you see, the tool is able to blend in all the processes and operations that you run. Free version: Available with limited capacities and free forever. What is does: Majestic SEO is a web-based SEO tool that specializes in backlinks, and this specialization is really strong. The reason for it is that its backlink index dates back to 2011. So it has backlink data depth you won’t find in other tools. 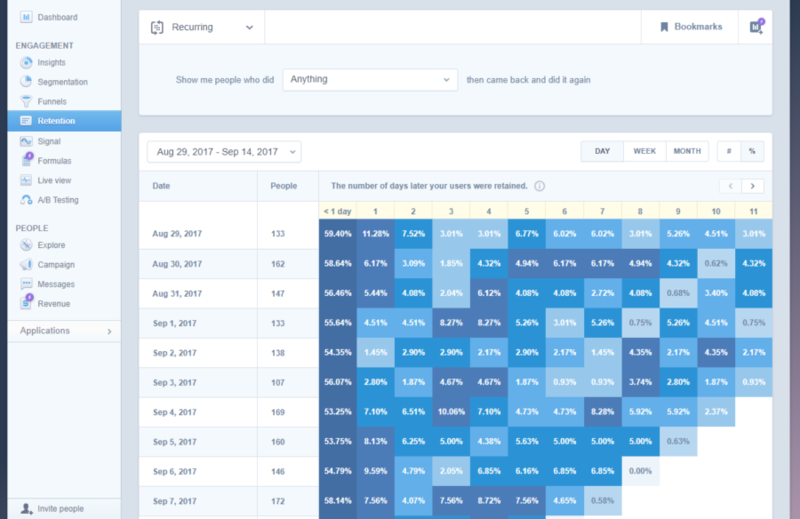 As Majestic won’t provide the data on keyword difficulty, rank tracking, and so on, it goes well in the integration with other SEO tools. The tool is great for SEO reports due to its rich backlink profile, plus it provides fantastic visualization for this feature. 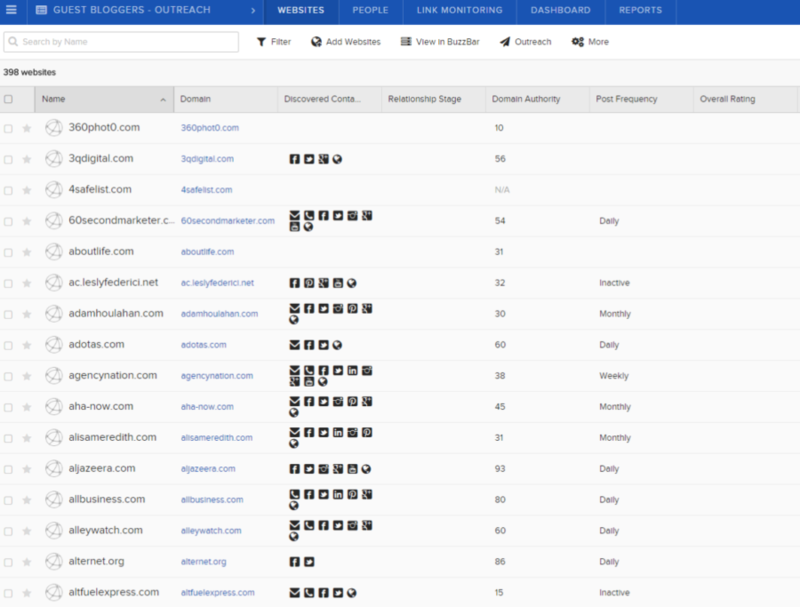 A few backlink and domain comparison tools are also available. 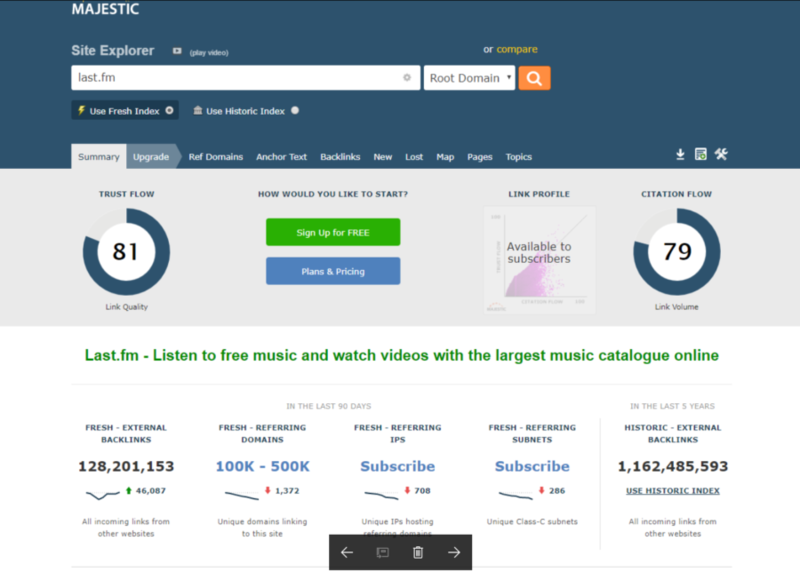 With Majestic you will have more opportunities for building links and bringing more traffic from search engines. You will be able to track what kind of content works (and what does not), analyze competitors, and find sites to partner with. Free version: Free account with limited capacities, no credit card details required. What it does: Mixpanel is a suite of features that measures and analyzes the behavior of people who enter your system. It can be anything – uploading an image, sharing a post, or not doing anything they are supposed to do. For example, it can be used to send push-up or email messages to your users on the basis of their actions in an attempt to re-engage them. The tool allows you to create rules that will trigger these messages. Thus, the tool can send an email to users who haven’t opened your newsletters for a while. Plus, managing Mixpanel won’t require any technical background, the interface is simple and rather straightforward. You track events, make sales funnels, and spot trends – this data does not need to be deciphered, everything is sheer clear. Free version: Free plans with limited capacities, no credit card details required. What it does: Optimizely is an experimentation-based platform that helps to create and personalize your website for better user experience and, as a result, more traffic and higher conversion. It is not strictly an SEO tool, as it does not help to find a page, but it makes a visitor stay there longer once the page is found. 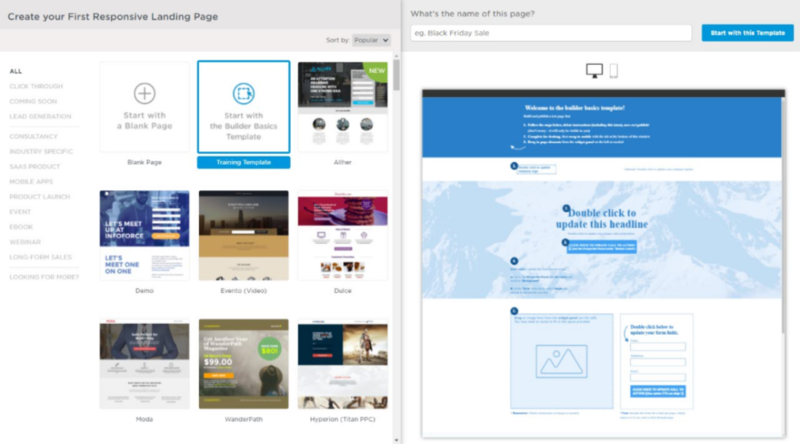 The tool allows you to make different versions of your website, for example, of a landing page. Then it tracks customer’s response (CTR and conversion rate), which can give you a good idea of what your visitors love most. With this tool you do not need to code – a visual editor will solve everything in this field for you. Free version: 30-day free trial, no credit card details required. What it does: Queue is a community engagement and brand advocacy platform that helps digital agencies, brands, influencers, and other SMBs to manage as well as to grow their leads, customers, fans, and users. 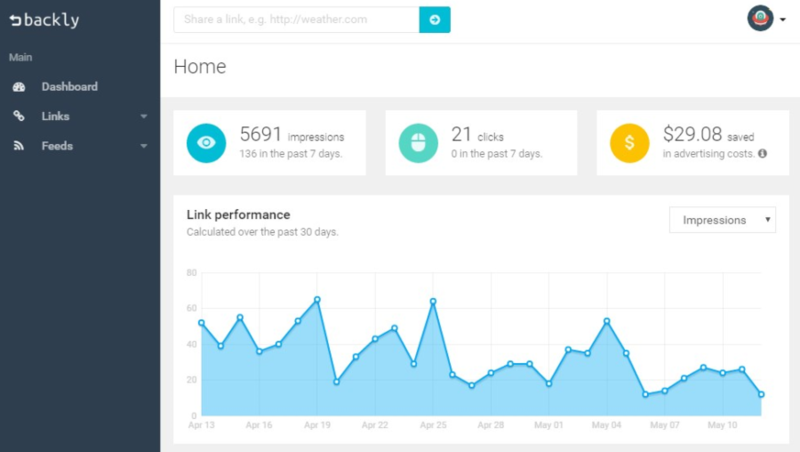 The tool uses dashboards to set up campaigns and track their performance. Dashboards provide a real-time view of activity metrics by using interactive graphs and charts. Queue builds an early buzz around an event by means of a virtual queuing system. Users can move up in the queue and earn bonus points by engaging with others in the audience. It is also possible to customize reward programs in the tool. All in all, Queue gives a possibility to gamify the whole process of pre-launch campaigns – it can provide referrals, points, bonus, rank, status, contests, and giveaways to keep the community members engaged and motivated. Free version: 14-day free trial, credit card details required. What it does: Quuu Promote is a service that helps brands and bloggers get their content shared by real social media users in the relevant industries and drive targeted traffic. Content creators submit their best content into the special curation system, after the approval by the Quuu team it can be automatically and simultaneously shared through social media channels of the Quuu users who are subscribed to the particular category. You can further manage and keep track of all your promotions from your Quuu Promote dashboard. Free version: 14-day free trial for all plans, no credit card details required. What is does: SEO PowerSuite is made up of 4 tools (Rank Tracker, WebSite Auditor, SEO SpyGlass, Link Assistant) that cover different aspects of SEO and are able to show you the performance of your site and jump-start your SEO campaign. With the help of these tools you can track your global and local rankings, research keywords, do a deep site’s audit and further in-app optimization, find all your backlinks plus the backlinks of your competitors, detect and neutralize spammy links, find hundreds of quality link opportunities with different research methods, and contact link prospects right from the app. Free version: Free license with no time limitations, with limited capacities, no credit card details required. 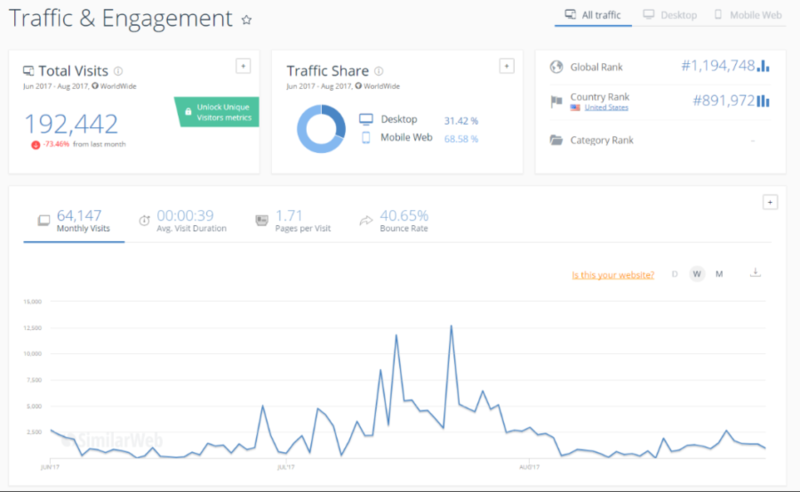 What it does: SimilarWeb Pro offers website analytics intelligence tools that collect important metrics on traffic, engagement, keywords, etc. for your website as well as for the sites of your competitors. It gives you a comprehensive overview of where you are against your competition and hints for smarter business decisions. The tool gathers data from different sources, including international panels, ISP data, and the websites you are interested in. Then it digests this raw information by applying its algo, selects the most relevant data, and delivers it beautifully to your dashboard as graphs, reports, funnels, and charts. The best thing about SimilarWeb Pro is that it is able to monitor your industry as a whole and give you key tendencies of your market – relevant trends, promising new players, leaders, and marketing strategies. 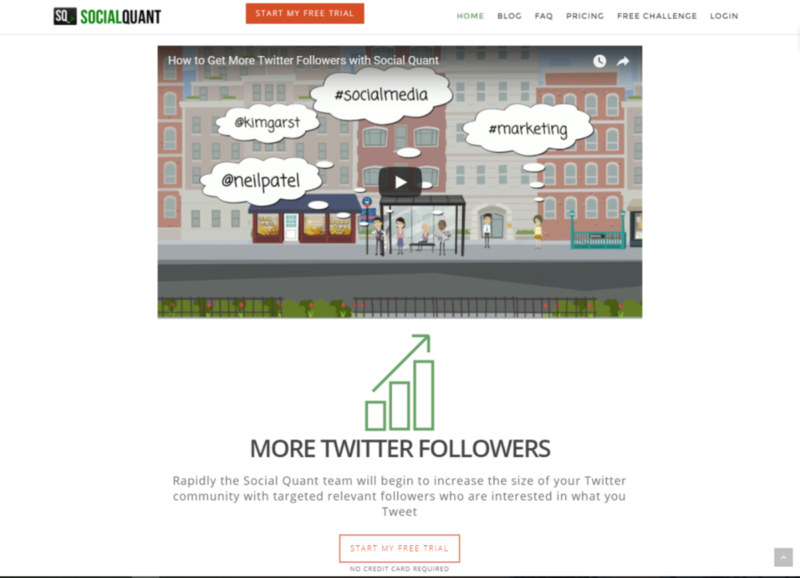 What it does: Social Quant is a tool that quickly and efficiently increases the size and quality of a Twitter account. It is especially great for new accounts that need some boost in engagement and brand awareness. The tool’s algorithms will find the conversations throughout Twitter with the keywords that you have targeted when setting up the Social Quant account. Then the Twitter account from this conversation is analyzed for its value in terms of your needs. As a result, you will have a large and meaningful following of real people. All you have to do then is to engage with your growing audience, receive clicks, likes, and retweets. Free version: 14-day free trial, no credit card details required. 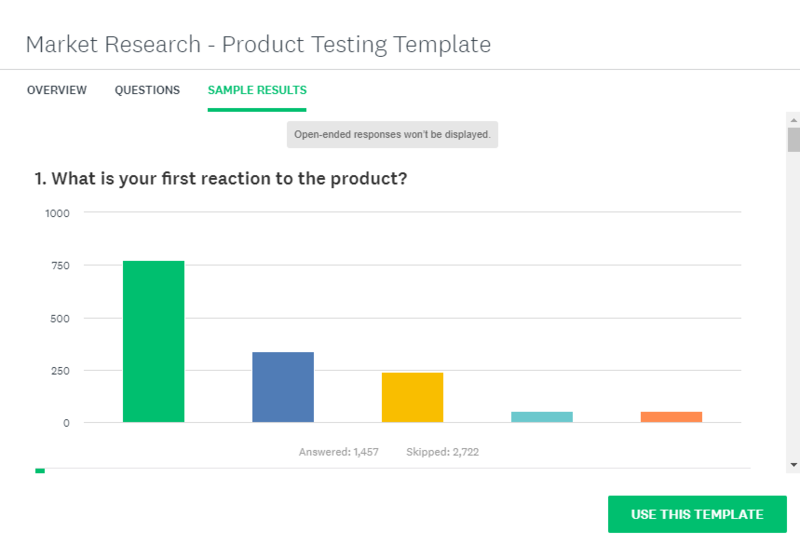 What it does: SurveyMonkey is an online survey development cloud-based software that provides free customizable surveys to grow customer satisfaction and engagement. The subtle tool-kit allows you to easily create targeted surveys from the rich question bank. Then the huge amount of collected data will be analyzed through the data analysis features of the tool. Afterwards, you can export the results and analysis of the conducted polls in different formats and share with your team. Free version: Basic plan is free, with limited capacities, no credit card details required. 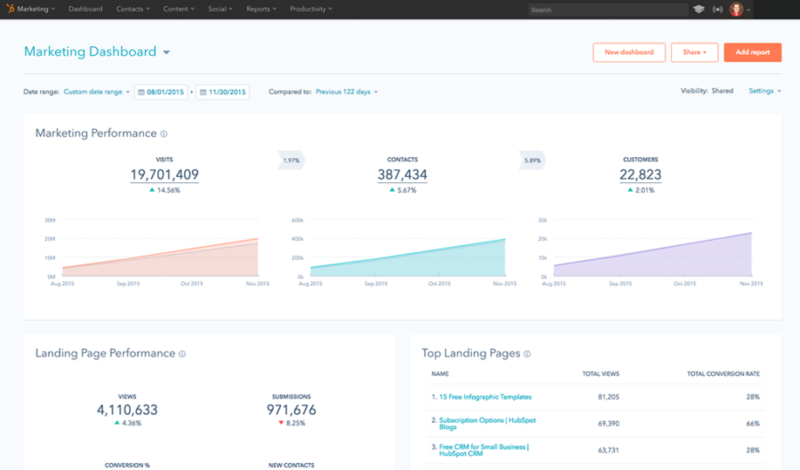 What it does: Unbounce is a service that helps you to build custom high-converting landing pages and allows integration with Email, Marketing Automation, Analytics or CRM tools. It is equally suitable for both newbies and pros, you just drag-and-drop and make your landing pages look awesome. You can further follow the performance stats of your pages (that you can create as many as you want) on your Unbounce dashboard and make changes if necessary. 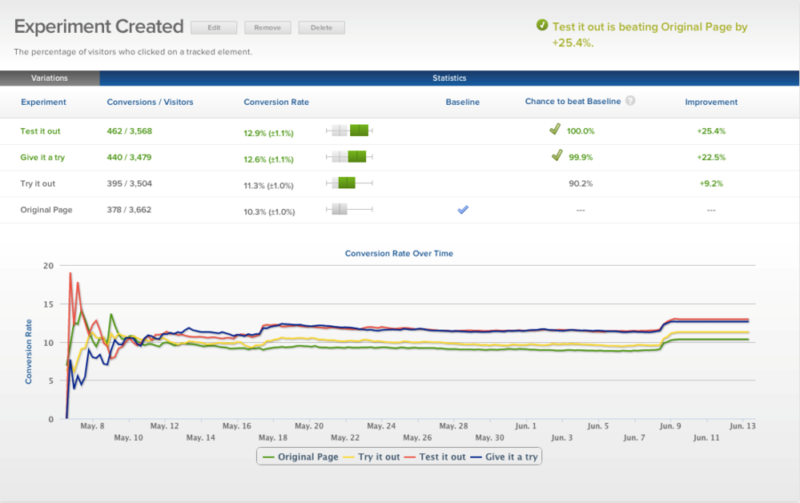 Plus, you can run A/B testing with two designs to see which one converts better. Free version: Free demo account, no credit card details required. 30-day free trial, credit card details required. 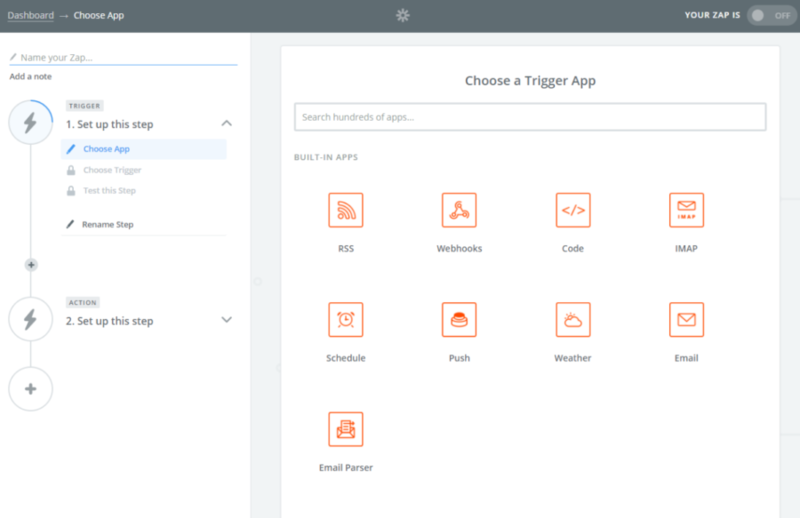 What it does: Zapier is a tool that lets you connect over 750 different apps together. It is so called marketing glue that holds everything in sync. It moves info between your web apps automatically, so you can concentrate on more urgent tasks. Plus, you can follow the task history to see what integrations ran successfully and what don’t. To make things easier, there are pre-made integrations that will allow you to start using this tool efficiently from the very beginning. Free version: Free forever, premium plan with 14-day free trial, no credit card details required. You see, there are heaps of the different kinds of tools with similar, overlapping, and unique functions. They all are created to make our busy life easier and our multitasking smoother. By choosing the tools that are suitable for what you do and how you do it, you have all the chances to be a step ahead of your competitors. The great thing is that almost all the tools have a free version that allows you to test them and understand whether you need more capacities. This way you will be able to detect the tools that are not only the best in their category but the best for reaching your own objectives. Previous articleScam or Superior Product? How One Entrepreneur Dealt With Scandal After Early Success.